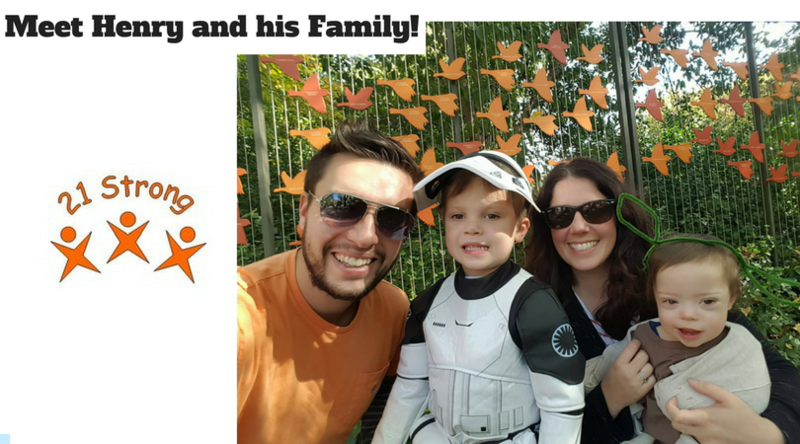 “We had a birth diagnosis for our son, Henry. A few days after he was born, I decided to search for some support groups and came across 21 Strong. I emailed them and within a week or two, Melody had arranged a get together at her house for Henry and I to get to meet her and another family. It was nice to be welcomed so quickly into the Down syndrome community. Selfishly, I feel the best part of being a member of 21 Strong has been meeting some of the other moms.